Welcome to the "Ridge" -- BBQ with a View! It's worth the drive! With a gorgeous view of Cove Lake and the Cumberland Mountains. Make sure you bring a big appetite because our goal is to provide you with a truly unique dining experience whether you're a BBQ Connoisseur or just want some good eats! 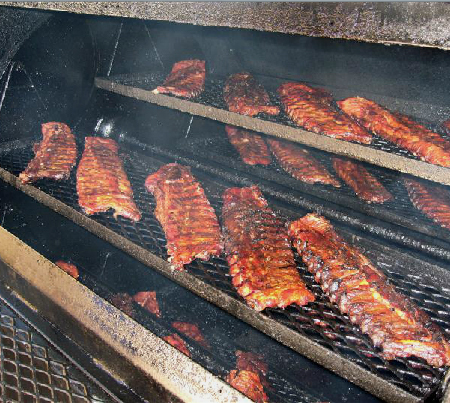 All of our meats are meticulously smoked by owner and BBQ Pitmaster Mark Rickard. Mark has been part of an award winning competitive BBQ team for several years, and is now bringing the same quality and attention to detail that goes into a cook-off right to your table. As per the requests of our loyal customers, we have expanded our hours of operation!